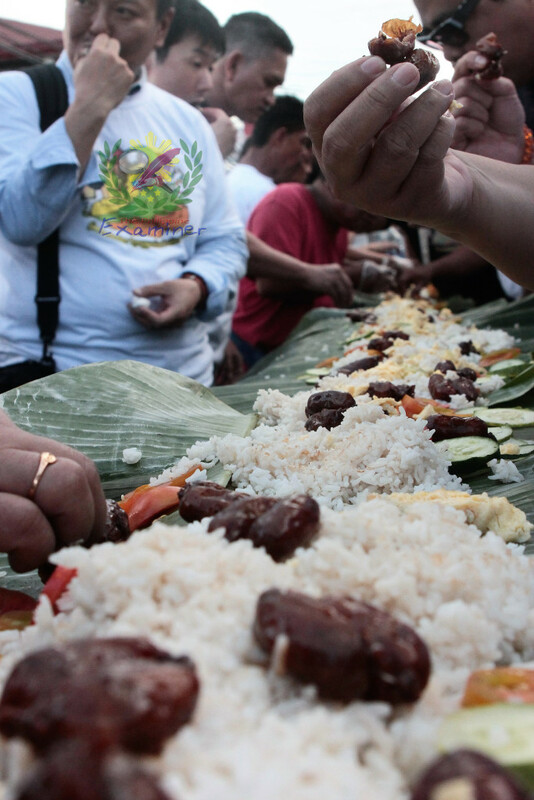 Thousands of locals including Japanese tourists joined the first Guinobatan longest boodle fight showcasing the iconic longganisa [sausage] prepared along Rizal Street. 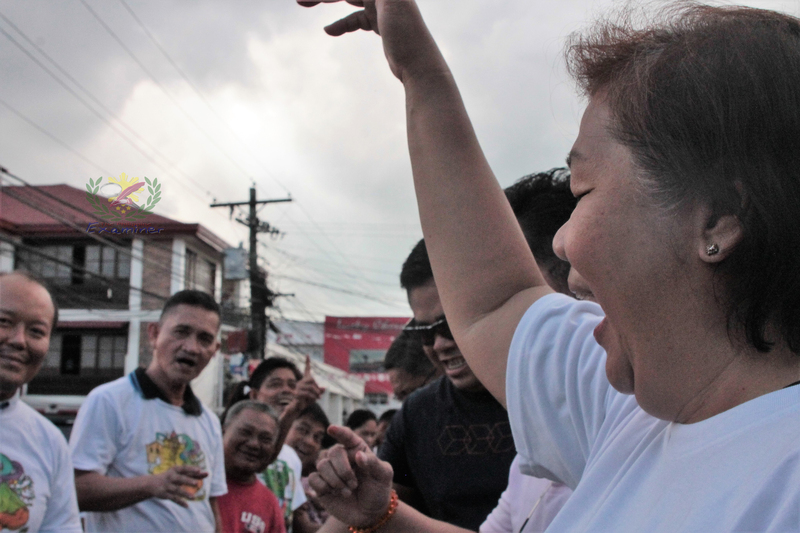 The row of tables were placed from three barangays of Ilawod, Poblacion and Iraya with an approximate distance of four hundred meters on Friday afternoon. 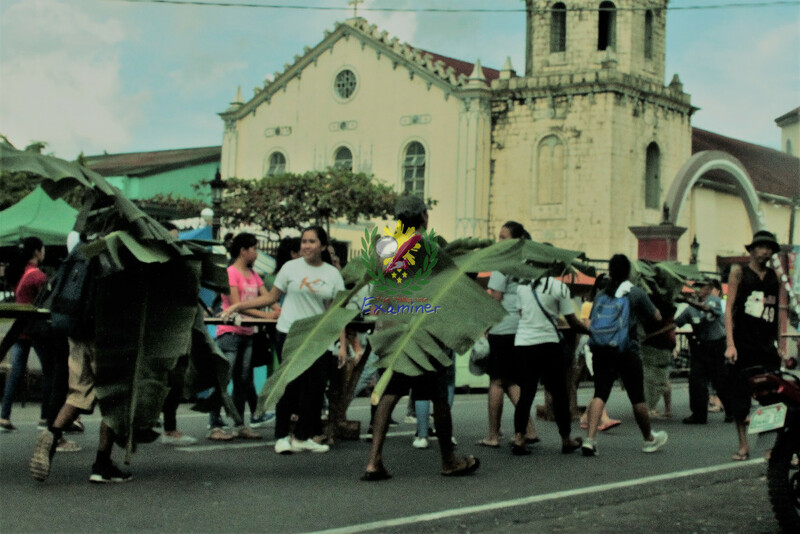 The “Guinobateño’s” penchant for fine food preparation was demonstrated into an art and their meticulous practice attests to their discriminating sense of taste that has been developed into a culture in which they eat according with their taste buds, not according to their brains. Their gastronomic passions in eating good food and their collective partiality to the art of fine dining exudes its strong characteristic of Guinobatan unique cookery. This gave them a distinct reputation, when it comes to food. 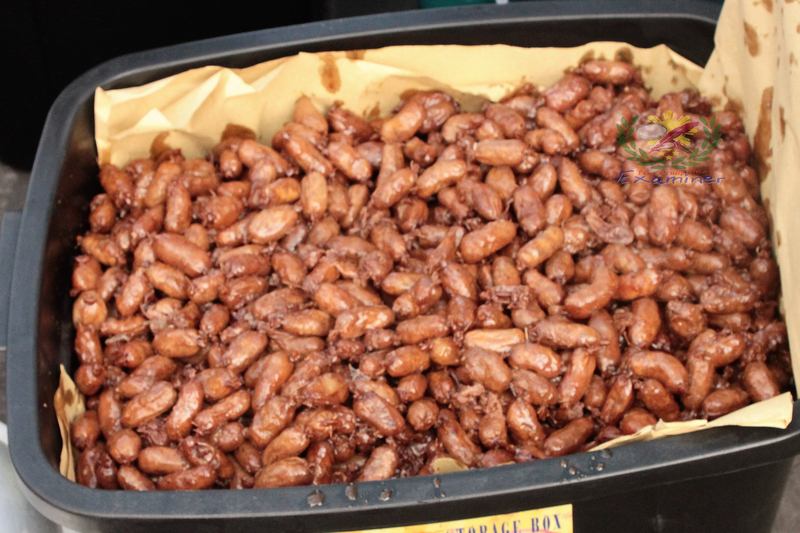 The practice of their unique gastronomic passions is truly cultural – why the midget Longganisa de Guinobatan was concocted in a very distinct way, ranging from texture, shape and the tedious preparation. 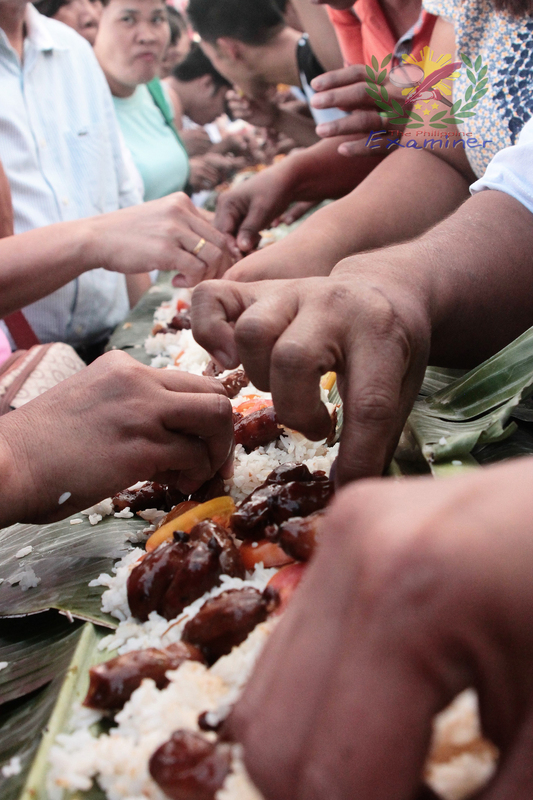 The Longganisa de Guinobatan is prepared manually attests to people’s patience and hard work and to a stranger will be annoyed by boredom – because the pork is physically chopped. Tradition rules, from chopping to wrapping it should be done by hands. 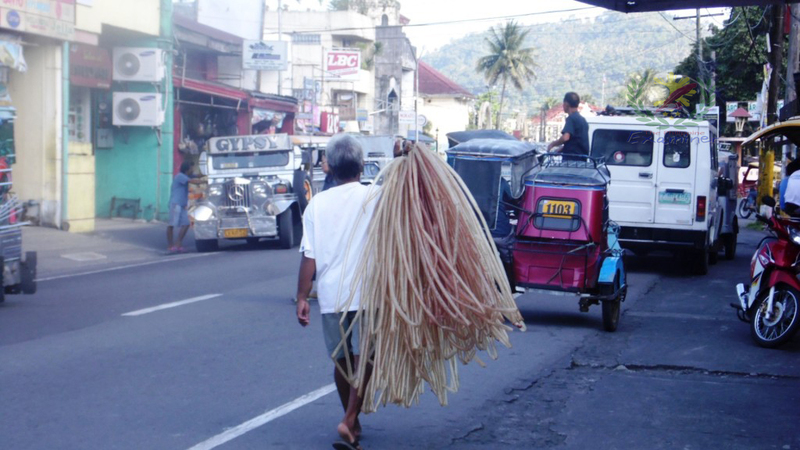 Another unique preparation of this sausage, is the wrapper, the small intestine [pork] is dried under the sun and is cut into pieces and again, it is tied with abaca twine. Guinobatan Longganisa has its Hispanic roots with a fusion of local ingredients like salt, garlic, sugar and vinegar are used and enhance its flavor. The Longganisa de Guinobatan Boodle fight was conceptualized by the event organizers to foster camaraderie, brotherhood and equality. 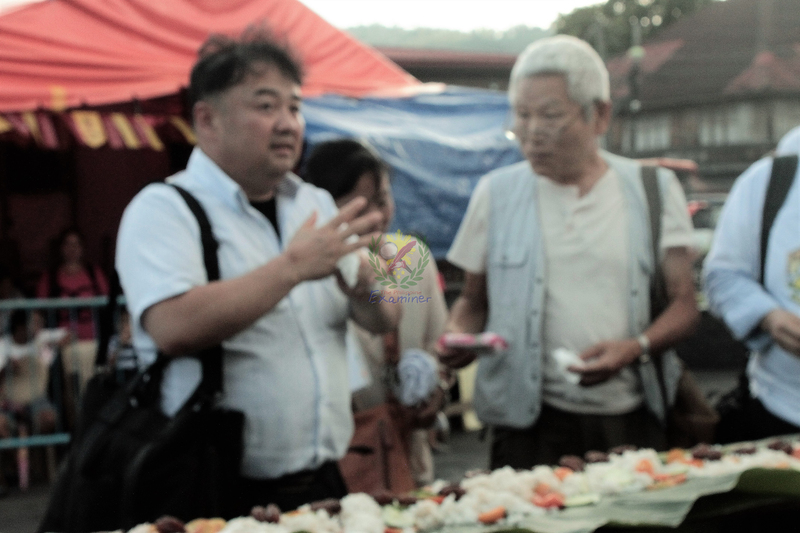 Its is also a part of Malay customs and traditions and was passed to Filipinos in eating prepared foods with a bare hands using banana leaves placed on any surface. The Philippine military has also adopted this tradition. During special military occasions, foods is laid out in their mess hall on top of banana leaves where soldiers and officers eat their meals together. “We never expected that this event will become a success. She gratefully extended her profound thanks to the organizing committee and to all the guests who joined the first boodle fight with great smile. In this fifth year of promoting our very own longganisa has come a long way, and we made the promotion,” Mayor Ann Ongjoco said.